BALTIMORE, MARYLAND – Marinalife is pleased to announce the winners of the 8th Annual Best Marina Contest. 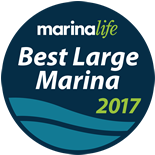 Congratulations to Orange Beach Marina in Orange Beach, Alabama, voted 2017’s Best Large Marina and Pink Shell Beach Resort & Marina in Fort Myers Beach, Florida, voted 2017’s Best Small Marina. 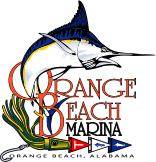 As a premier marina on the Gulf Coast, Orange Beach Marina offers a safe, fully protected harbor with 161 slips available and family-friendly environment for all types of boaters. Conveniently accessible from the Gulf, Tennessee-Tombigbee, Intracoastal Waterway, Mobile or Pensacola Bay, their state-of-the-art docks, two on-site restaurants, and exceptional laundry and shower facilities offer guests a pleasant experience without leaving the marina. Voted 2017’s Best Small Marina, the beautiful pet and family friendly Pink Shell Beach Resort & Marina in Fort Myers Beach, Florida features 41 slips where boaters enjoy a host of amenities and services, whether staying for one night or one week. Just six miles from the Gulf of Mexico, dock your boat (up to 100 feet) and get full-access to the Resort’s pools, restaurants, and spa or soak in the sunshine along the quarter mile of sugar white sand beaches. Due to the high number of votes, we recognize second and third place winners in each category. Kingman Yacht Center in Cataumet, Massachusetts was voted second place for the Best Large Marina, and River Dunes Marina in Oriental, North Carolina came in a close third. Plantation Yacht Harbor Marina in Islamorada, Florida was voted second place in the Best Small Marina category and in third place was Homeport Marina in Gulf Shores, Alabama. We appreciate and thank all the marinas and boaters nationwide for participating in this year’s contest. Keep an eye out for announcements starting in the Spring of 2018 for Marinalife’s 9th Annual Best Marina Contest. Marinalife brings together the boating community through a comprehensive membership program offering boaters online marina reservation services and valuable trip planning travel tools and resources. Marinalife publishes a quarterly magazine highlighting marina and boating destinations, members’ cruising stories and captain’s tips. Marinalife’s mission is to make boating easy by providing services and information to simplify logistics and alleviate stress for all types of boaters. For more information on Marinalife, please call 1-800-736-8275 or visit www.marinalife.com.